Is a Pardon Same as Sealing or Expunging a Florida Record? Is a Pardon the Same as Sealing or Expunging a Florida Record? This is not the same thing as sealing or expunging your Florida record. If you are pardoned, this does not erase the criminal record. It does not seal or expunge your criminal background. Convicted felons in Florida are not eligible for a record seal or record expunction. The law that is used to expunge a Florida criminal record is Section 943.0585. 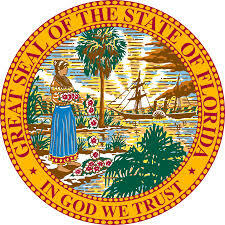 This law states that anyone petitioning to expunge a record in Florida cannot have “been adjudicated guilty of a criminal offense or comparable ordinance violation, or been adjudicated delinquent for committing any felony or a misdemeanor specified in s. 943.051(3)(b).” The Florida record sealing law mirrors the expunging law. Under Florida Statute Section 943.059, a person that is petitioning for a record seal cannot have any criminal convictions either.